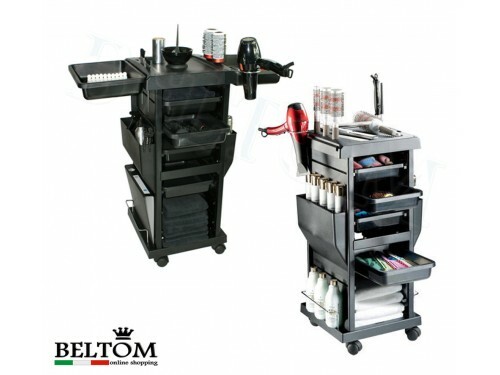 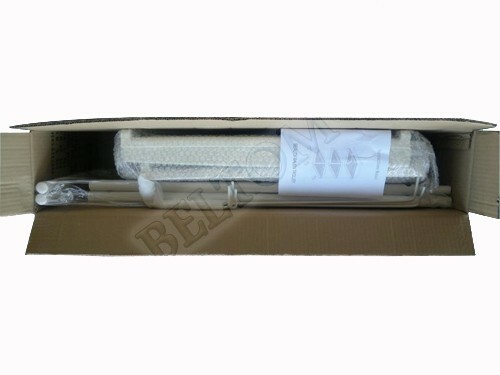 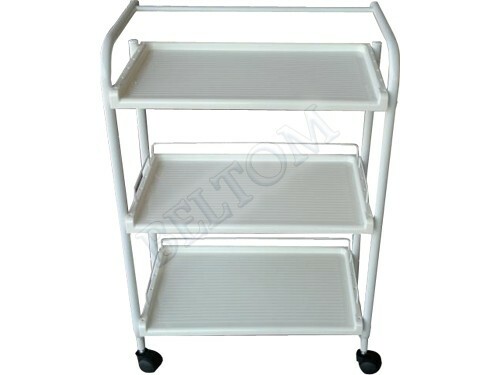 3 shelfs storage, white, is indispensable in every beauty salon and hair salon, or medical offices. 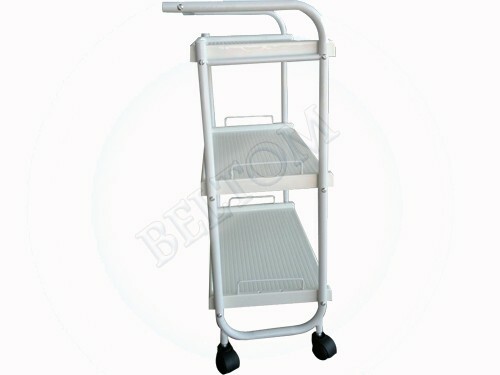 It's great to use even in kitchens and verandas. 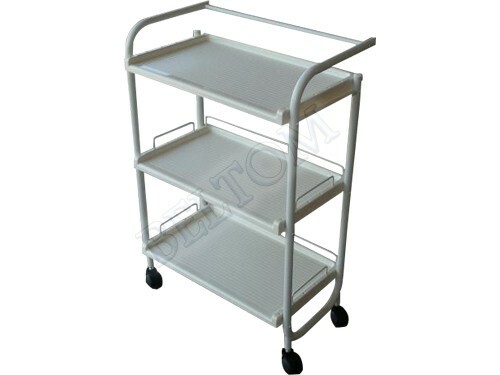 The professional trolley has a solid structure on 3 shelfs with a safety borders, it is in steel white epoxy powder painted. 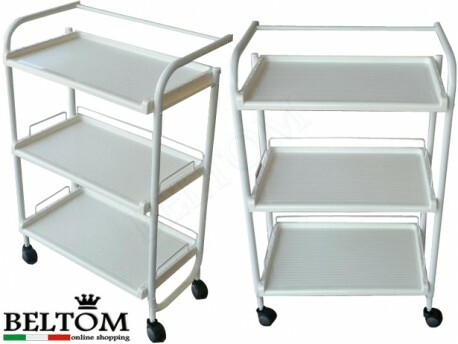 Equipped with practical wheels that allow easy movement. Shelves made of white plastic resistant to wear and easily washable from all the oils and creams of the trade. 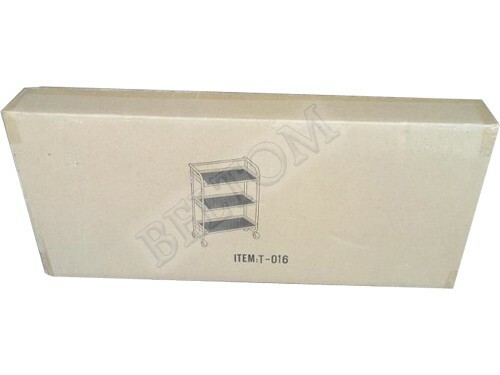 Width 58.5 cm, Height 90.5 cm, Depth 32 cm.